The selection committee identified Biltgen and Lindenbaum as exceptional nominees for the Edwin H. Land Industry Award and decided to recognize both as dual recipients, an Achievement Awards first. 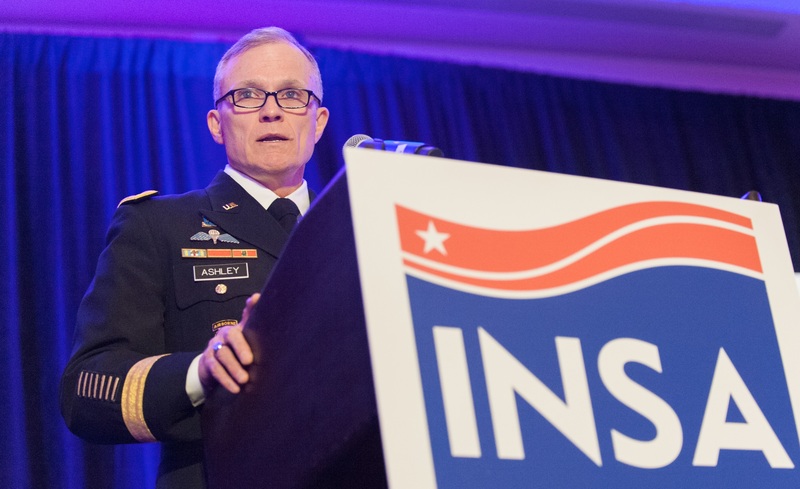 The eighth annual INSA Achievement Awards ceremony will take place Thursday, February 22, 2018, at the United States Institute of Peace in Washington, D.C. Principal Deputy Director of National Intelligence Sue Gordon will deliver the keynote address on leadership and public service. 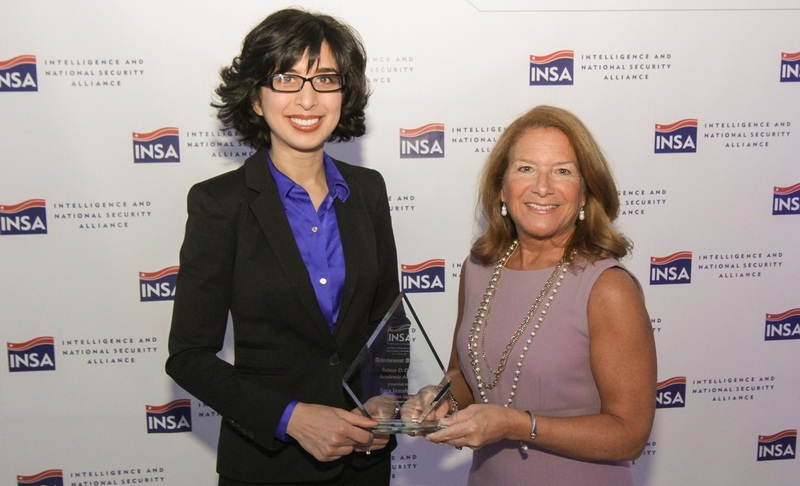 The INSA Board of Directors established the Achievement Awards in 2010 to heighten public recognition and awareness of professionals who have served U.S. intelligence, national security, and homeland security missions with distinction. 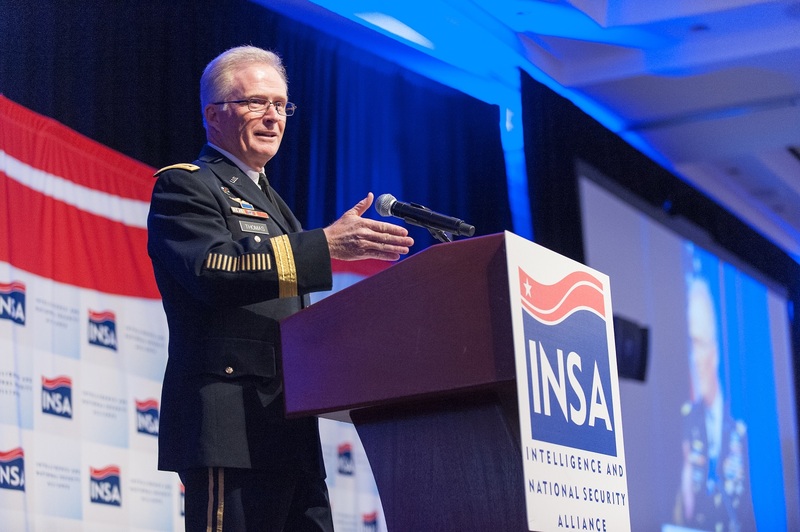 Each award is named for a recipient of the William Oliver Baker Award, which INSA presents annually to an individual for their sustained contributions to U.S. intelligence and national security affairs. Click here more information about the INSA Achievement Awards. Patrick Biltgen, Ph.D., has been a leader in defining, delivering, and adapting big data analytic methods for Activity-Based Intelligence (ABI) in support of NGA, NRO, and other Intelligence Community (IC) customers. Patrick recently led a team to monitor compliance with the Cessation of Hostilities (CoH) agreement in Syria using open-source analytics. The team developed a multi-source approach that included social media monitoring, overhead commercial satellite imagery and in-theater “microtasking” from ground observers to create a holistic view of potential CoH violations. Subsequent daily reports from this effort identified over 500 suspected violations, informing intelligence products used by ODNI, DIA, NGA, the National Security Council, and others. This was the first Community example of “Analysis-as-a-Service” and a pathfinder for future IC efforts to utilize ABI methods. A respected author and presenter, Patrick distinguishes himself as an integrating force across government, academia, and industry, working to standardize methods across the IC and interfacing directly with senior government leaders and analysts from multiple agencies. 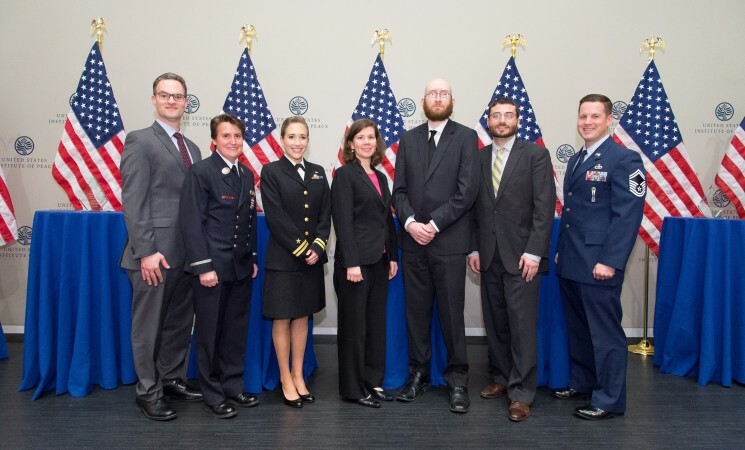 Patrick’s dedication to advancing mission-enhancing software solutions, innovating groundbreaking research, and inspiring young professionals makes him an asset to the intelligence and national security arena. LT Carter spearheads the research and development of comprehensive intelligence products to eliminate and disrupt kidnap-for-ransom (KFR) networks targeting Western citizens around the globe. She planned, assembled, and led a working group of KFR experts to produce a community-coordinated intelligence estimate to drive USSOCOM operational planning efforts to target and disrupt these networks. Her efforts aided FBI Extraterritorial Hostage Unit investigations, significantly improving the odds for the safe return of isolated, detained, missing and captured Western citizens. She was handpicked for this high-visibility role, which required frequent contact with senior policy makers at the Department of Defense Joint Staff and strategic planning community. LT Carter also serves as a sexual assault prevention and response victim advocate, routinely displaying the interpersonal skills, empathy, and warmth necessary when dealing with victims of sexual assault. As the handpicked USSOCOM Navy Element’s Assistant Command Fitness Leader, LT Carter leads a diverse group of junior, mid-level, and senior sailors to meet and exceed fitness standards. She selflessly shares her knowledge with subordinates and peers, encouraging others to improve their technical proficiency and personal growth. David Lindenbaum has played an essential role in ensuring the successful launch, sustainment, and planned expansion of the SpaceNetTM initiative, a collaborative effort between CosmiQ Works, NVIDIA and Radiant Solutions. SpaceNetTM – an online repository of freely available satellite imagery, co-registered map data to train algorithms, and series of public challenges designed to accelerate innovation in artificial intelligence (AI) for geospatial data — has substantially benefited the Intelligence Community’s strategic planning for remote sensing-focused AI. This includes the development of computer vision, applications, and advanced research projects. SpaceNetTM is now one of the largest publicly available repositories of high-resolution imagery and geospatial data for machine learning. Beyond the repository, David and teams from each of the SpaceNet partners have spearheaded efforts to bridge computer vision and geospatial imagery, helping introduce the intelligence and national security communities to new means of data exploitation. David also has been instrumental expanding the utility of SpaceNetTM by incorporating other data sets and helping organize and execute multiple machine-learning competitions, which have attracted over 250 technical submissions. Due to David’s work on the SpaceNetTM initiative and other CosmiQ Works research projects, organizations throughout the intelligence and national security communities have leveraged the associated findings to advance their own internal projects. CosmiQ Works, an IQT Lab focused on exploring how the US Government can leverage advances in the commercial space and machine learning sectors, supports a variety of projects each year including SpaceNetTM. Mr. Don Parlett provided exemplary all-source counterterrorism intelligence support to deployed elements in Afghanistan from August - December 2017. Mr. Parlett, acting as a senior strategic analyst, utilized his extensive knowledge of violent extremist groups in theater to assist warfighters and policymakers in making optimal national security determinations in support of the U.S. Government's fight against extremists that threaten Afghan stability. Mr. Parlett was routinely asked to brief and provide his strategic assessments to the Joint Task Force Afghanistan command staff. Mr. Parlett's mentorship to analysts, continual collaboration with interagency colleagues, and rigorous analytic tradecraft resulted in significant productivity among his team and trust from his leadership. Alison Lawlor Russell has contributed extensively to the interdisciplinary study of cybersecurity and championed cybersecurity as a public education issue central to our national wellbeing. Her research provides critical contributions to the discussion of how the United States operates within cyberspace and the development of cyberspace rules, expectations, and international norms and laws. Less than five years removed from doctoral studies, Alison recently published her second book, Strategic A2/AD in Cyberspace, which provides the first comprehensive analysis of anti-access/area denial (A2/AD) operations in cyberspace (i.e. the ability to suspend a state’s access to cyberspace). Her first book, Cyber Blockades, was the first to examine whether and how to conduct cyber blockade operations. Her publications and presentations have been of great assistance to the U.S. Navy as it strives to leverage and defend cyberspace as an operational domain. She is also developing an interdisciplinary cybersecurity minor as director of Merrimack’s International Studies Program and contributing to ongoing research on cyber and artificial intelligence at the Center for Naval Analyses. 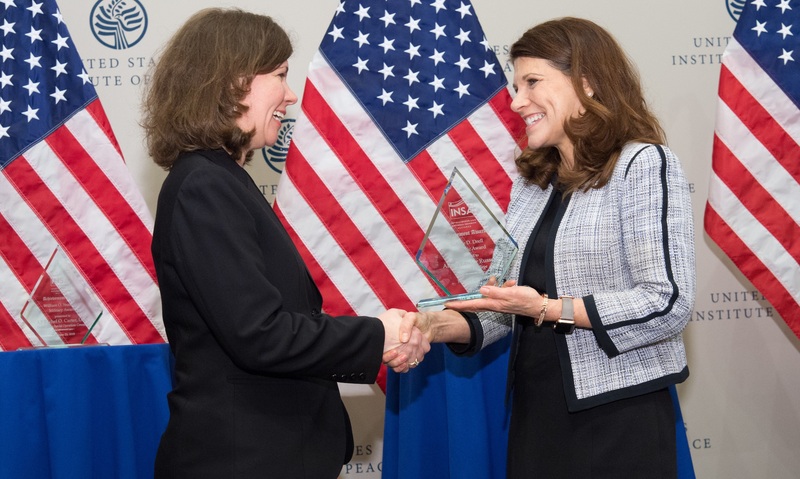 Alison’s work is pivotal to advancing the national security community’s understanding of cyberspace. Lt. Walsh has demonstrated tremendous poise and leadership under extreme duress, saving lives and assisting New Yorkers facing the most dangerous circumstances. The lone female member of FDNY’s elite Special Operations Command Squad 18, Lt. Walsh is involved in the Department’s most technical and challenging rescue operations, including hazmat, extrications, confined spaces, trench operations, high-angle rescues, and other high-risk events that occur almost daily in New York City. On October 31, 2017, Lt. Walsh was the supervising officer in charge of Squad 18 when the unit responded to an incident initially recorded as a vehicle accident in Manhattan. En route to the scene, Squad 18 was flagged down by numerous pedestrians requiring immediate assistance. An experienced officer of prior terror attacks and attempted attacks, Lt. Walsh quickly recognized the situation, later identified as deliberate, deadly attack using a pickup truck to strike pedestrians. She directed personnel to make immediate street triage assessments, all the while drawing upon her situational awareness to exercise caution due to the heightened potential of secondary incidents. Her quick thinking and decisive action at this mass-casualty incident helped to stabilize victims and save lives.